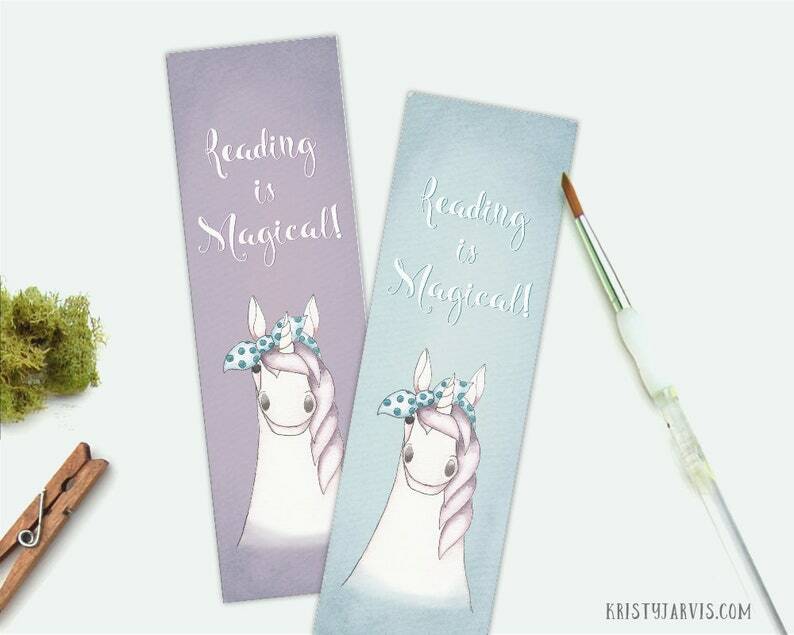 Instant download printable unicorn bookmarks. Download, print, cut and use them as a back to school gift for your students, unicorn party favors, gift to your favorite bookworms, or hand them out to all of your unicorn friends! The watercolor unicorn featured on this bookmark was hand painted by me! Watercolor Chicken Painting Art Print, Whimsical Chicken Decor, Retro Kitchen Art Crazy Chicken Lady Farmhouse Prints - "Blondie"